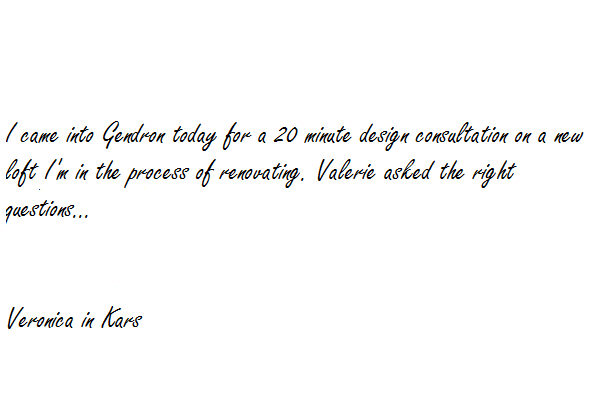 I came into Gendron today for a 20 minute design consultation on a new loft I’m in the process of renovating. Valerie asked the right questions – the first thing was the orientation of the unit – so knowing it was SW she had ideas on keeping the UV sunlight and privacy issues from the facing. And the other thing she cautioned me on was thinking about a design that would appeal broadly for re-sale – not being too gender specific. Ideas I hadn’t considered.